Last nights FGI events was a blast, and I had the pleasure of sitting on the panel so I took the opportunity to learn from the real experts who were sitting to my left! Today I was a little more pumped up than usual to log on to Twitter and see what was aflutter this morning. Of course there is no shortage of fashion news stories so today it’s all fashion flashes! Let me know what you think, perhaps it could be our Friday date every week…. 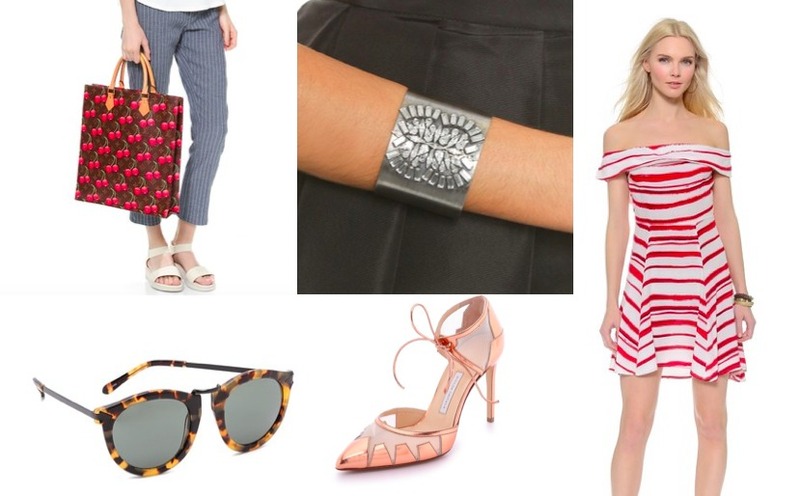 Since the world has gone World Cup mad (and delightfully so) let’s talk about the designer fashion that will be skimming the backs of those strapping young ballers… ok maybe that footballer…so I am not a soccer expert. For the fourth year in a row Dolce & Gabbana has created off-field outfits for the Italian team (all the better to accentuate their abs my dear) along with waistcoats and ties. Of course Strenesse designs will also be appearing in a more traditional and understated way on the German team. Of course Adidas has outfitted all twelve teams with TechFit jerseys for the field. Louis Vuitton also created a handmade leather trophy case for the 24 karat gold prize. Nice! 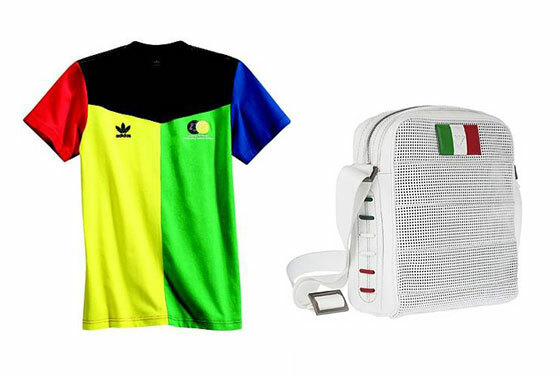 And always thinking one step ahead Giorgio Armani is the man behind the World Cup accessories collections, which includes bags, tees and boxer briefs for the guys that want to show their solidarity on the streets. In other fashion news, the word at the water coolers of every fashion mag across the big apple is no doubt being murmured about Thierry Mugler’s “talks” with Gareth Pugh about taking over design as the company aims for a new fashion direction. Though Rosemary Rodriguez started designing the label again in 2003 Mugler has dabbled in creating concert outfits for Beyonce’. In case you don’t know much about Pugh. His debut line at London Fashion Week in 2006 garnered critical acclaim and the gushing hasn’t stopped since. Fashion insiders and fashionistas love that lovely Brit! At Vogue things are being shaken and somewhat stirred as PR Chief Patrick O’Connell announced this week that he would step down as soon as Ms Anna could find a replacement. Not one to drag her feet, apparently AW didn’t waste any time naming Megan Salt the new director of PR. Salt started at Vogue last year working special events and consulting on Fashions Night Out along with a tad of freelancing for the publication. Now she can officially hang a plaque at she takes the PR helm.